MooreHawke, a division of Moore Industries-International, have announced that the ROUTE-MASTER Fieldbus System has a new ATEX approval (FM pending) as a redundant intrinsically-safe fieldbus system permitting the connection of any mix of FISCO and Entity devices. This is the world's first fieldbus system approval to offer FISCO compatibility and power redundancy. A ROUTE-MASTER system consists of up to eight Trunk Isolator Modules in a 19-inch rack, each connected to one or more RM100 Fieldbus Device Couplers. This combination is now approved suitable for any mix of FISCO and Entity field devices. The RM100 rack incorporates hot-swappable and load-sharing redundant DC power cards and full galvanic isolation. Intrinsically-safe approvals extend to IEC Gas Group IIC (NEC Groups A and B), with an industry-best 350m per segment. The duplex FISCO ROUTE-MASTER gives a calculated MTBF of 468 years, at least 5 times better than a conventional simplex FISCO system. 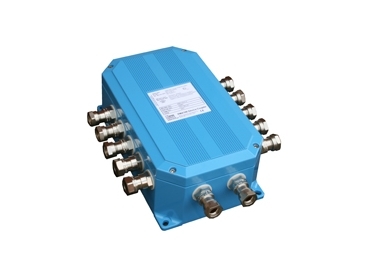 Uniquely, ROUTE-MASTER also allows the full Foundation Fieldbus network length of 1900m, and 120m spurs, double the normal FISCO restrictions. As with all MooreHawke Device Couplers, RM100 Device Couplers have auto-resetting short-circuit protection, automatic segment termination to eliminate common installation errors and commissioning delays, and LED status indicators. MooreHawke's short circuit protection method prevents segment failure caused by multiple device faults. A unique "fold-back" technique automatically removes fault loads from the segment, and does not permit any current flow to those devices until faults are corrected. Manual termination is also offered at the user’s request. Moore Industries-International are represented by Moore Industries-Pacific in the Asia Pacific region.